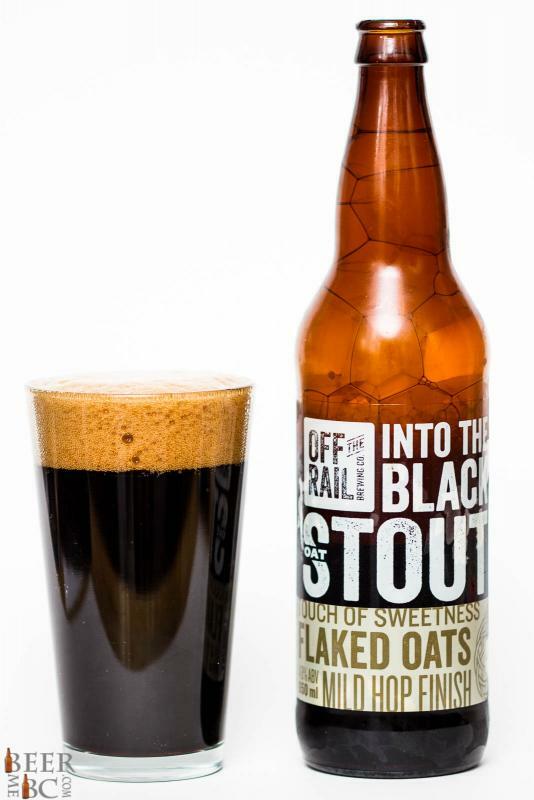 Off The Rail Brewing Copany has brewed up an Oatmeal Stout that they have named Into The Black. 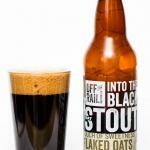 This beer has a to-style 4.8% alcohol and 36 IBUS to match. Pouring this beer from the bomber bottle it appears a rich, dark brown colour that lets virtually no light through at all. 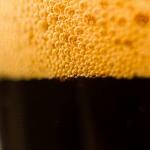 Atop the beer is two fingers of brown head that leaves light lacing behind on the glass. An aroma comes forth from the Into The Black Stout as a toasted malt, caramel and coffee infused package. A light bitterness from the coffee and hop tones balance the roasty, light sweetness. Tasting the beer it has a nice, smooth body that is bigger than the 4.8% alcohol may suggest. 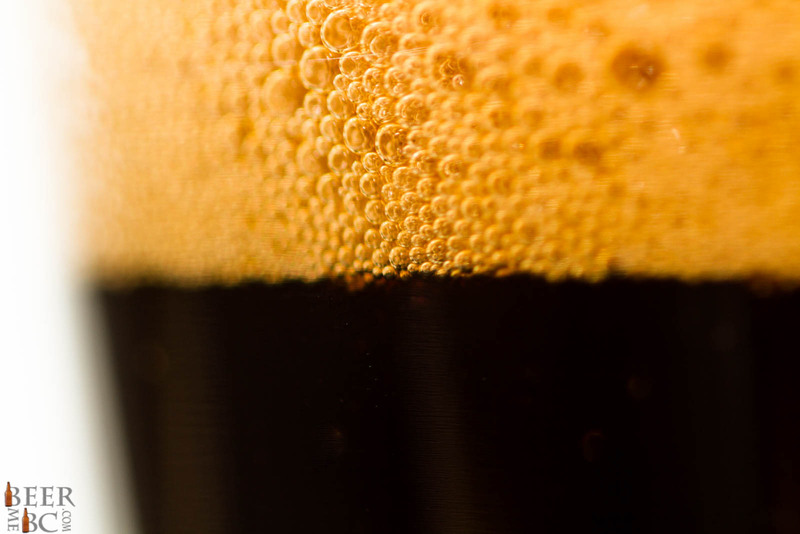 The flavour is big and roasty with notes of coffee, mild chocolate and a distinctive hop bitterness. The hop tones don’t take over the beer but are quite apparent and add a uniqueness to the overall flavour. 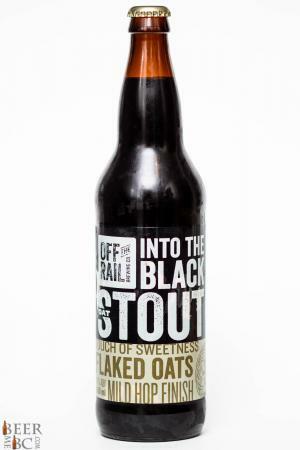 This is a classically brewed, tasty oatmeal stout with one twist – a hop flavour that is simply delicious!